Self-priming, low maintenance coating for exterior wood. Flexible and UV resistant. BBA approved with up to 5 years protection. 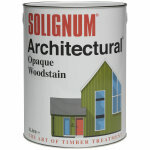 Solignum Architectural Opaque Woodstain is a low-maintenance solvent-based coating for exterior softwoods and hardwoods. 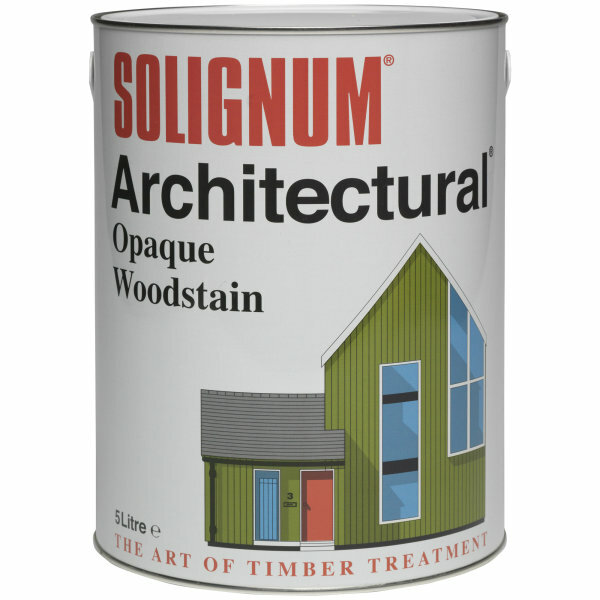 It is ideal for large timber areas such as cladding, facia boards and soffit boards. The self-priming, solid finish treats weathered and uneven surfaces. Excellent durability is offered through UV resistance and mould resistance. BBA approved with up to 5 years protection. Application is by brush or spray with coverage up to 18sq/m per litre.